What is it? 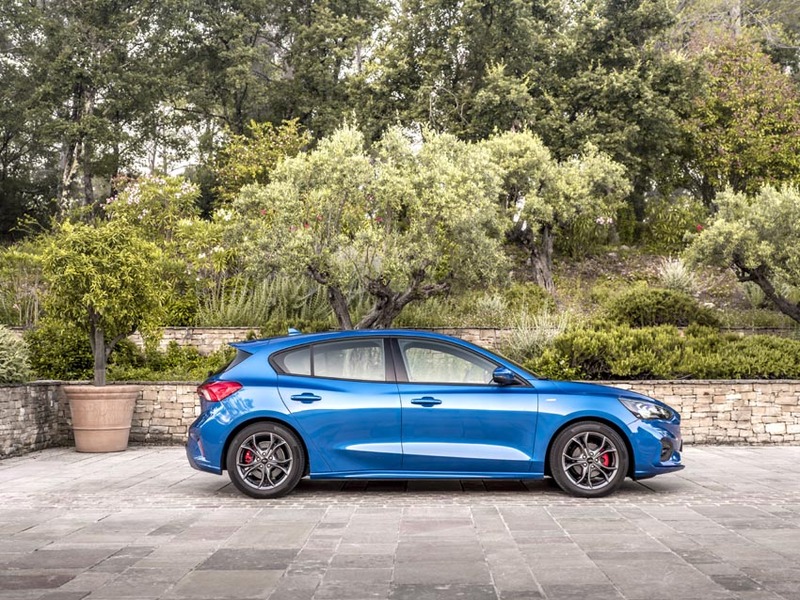 20 years after it was first launched in Ireland the Ford Focus is back, rebuilt from the ground up and hoping to be as popular as its predecessors. Who is it aimed at? 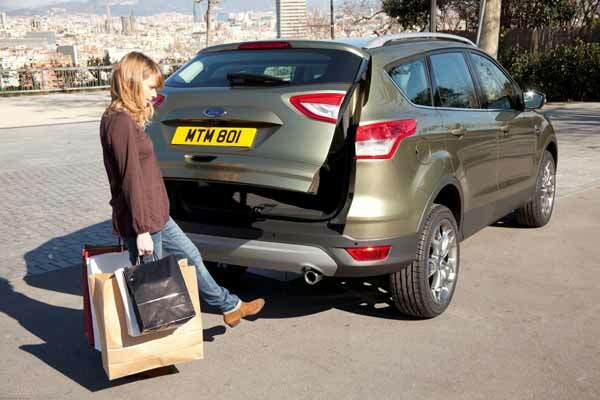 The Focus is aimed at those needing a spacious hatchback who haven’t jumped on the crossover bandwagon. Styling? The new model is wider and lower with an extra 52mm on the wheelbase. The overhangs to the front and rear are shorter and the A-pillar has been pushed backwards. Outside the new Focus is almost the same size as before but inside it feels much more spacious and the rear quarter light has been merged with the rear door to give passengers more room getting in and out of the car. The redesigned taillights give the rear a much wider appearance. Under the Bonnet? Our test car was powered by a 1.0L petrol 3-cylinder engine with 125 PS. What about inside? The dashboard has been moved forwards by 100mm to give additional legroom. The centre console has also been adjusted and is now narrower and lower and overall there is more knee and shoulder space. 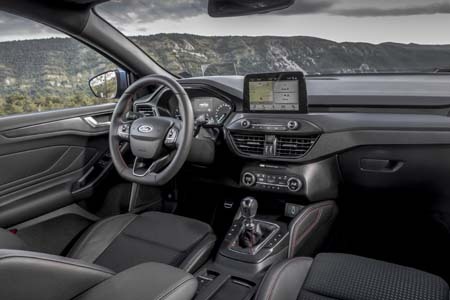 For those who complained about the previous model’s cluttered dashboard, this new Focus has 50% fewer buttons and all controls are within easy reach. This new model really is spacious and the rear suspension struts in the wagon version have been spread out further to allow for a wider load space in the rear. Depending on your chosen spec level finishes could be satin aluminium and woodgrain or carbon fibre and red stitching. 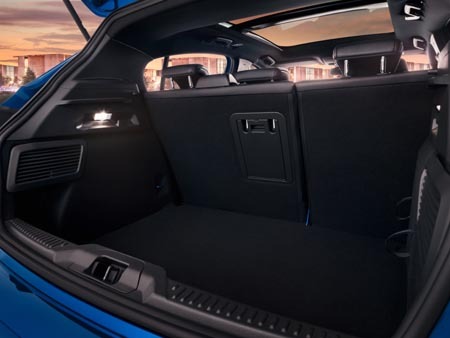 Luggage capacity ranges from 341 litres with the seats in place to 1,320 litres with the rear seats folded down. On the Road? As you’d expect the new Ford Focus has kept its driving dynamics and feels agile on the road with responsive steering. However, there is a noticeable difference in the handling of the rear beam suspension and the independent rear suspension that is available in the sportier models so keep this in mind if you like to tackle winding roads. The 1.0L engine It has plenty of power and feels comfortable on long journeys but can be a little thirsty under pressure. And Safety? The new Focus comes with a wide range of safety features, both standard and optional. Cross traffic alert, evasive steering assist and post-collision braking are some of the highlights while FordPass Connect will equip your car with a modem, independent of your smartphone, which will contact the emergency services in case of an emergency. Co-Pilot 360 is Ford’s SAE Level 2 Automation which combines Adaptive Cruise Control (with stop and go), Lane Centring Assist and Speed Sign Recognition. What are my Options? There are 4 spec levels available. “Zetec” comes with 16” alloys, 6.5” touchscreen (android auto and apple carplay), cruise control and pre-collision assist. The sporty “ST-Line” upgrades you to 17” alloys, an ST-Line body kit, twin polished tailpipes, keyless start and sports suspension. The “Titanium” spec, which we tested, gets front and rear parking sensors, an 8” touchscreen, FordPass Connect (live traffic, remotely check fuel level, lock/unlock), keyless entry and LED tail lights while the top of the range “Vignale” model has 18” alloys, a B&O sound system, sat nav, full leather seats, a head-up display and privacy glass. Gearbox options are either a 6-speed manual or 8-speed auto. A more rugged looking “Active” trim will be available later in 2019. Will it break the bank? 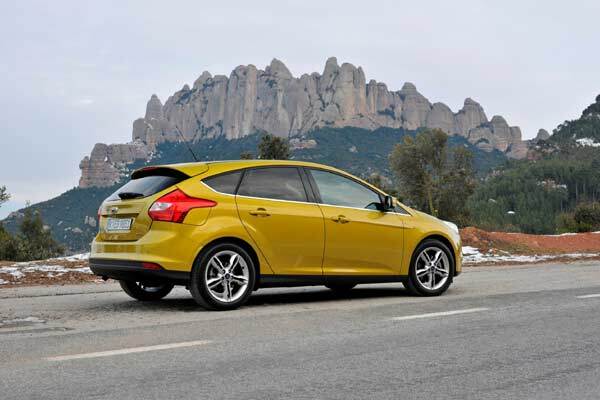 Prices for the Ford Focus start at €22,513. The model tested was €27,257 including the following options: 17” alloy wheels (€800), Fixed LED Headlights (€1,160), Wireless Charging Pad (€180) and Diffused Silver paint finish (€600). With emissions of 108g/km road tax will set you back €190 each year. So the verdict? The new Ford Focus is as much fun as the previous model to drive and has that little bit of extra interior space – our pick is the ST-Line Wagon!